Place the flour in a bowl, then make a well in the centre and break the egg into it. Mix in half the milk using a wooden spoon, work the mixture until smooth then add the remaining milk. Beat or whisk unti fully combined and the surface is covered with tiny bubbles. Allow to rest for 15 to 30 minutes, whisk again before cooking. Place a teaspoon of fat into&nbsp;each individual pudding tins and place in the oven until the fat is sizzling. 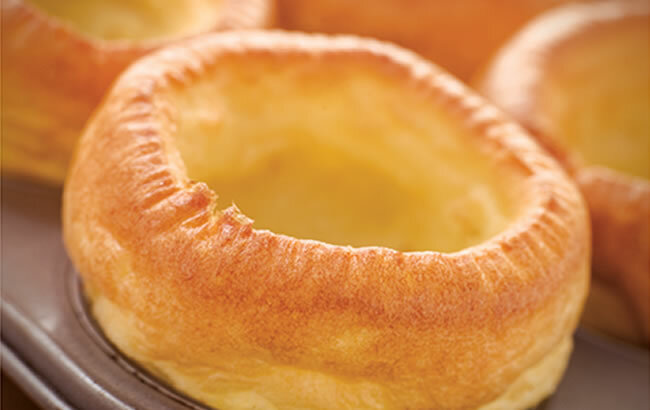 Pour the batter into the tins and bake for 10 to 15 minutes for individual puddings until risen and golden brown.